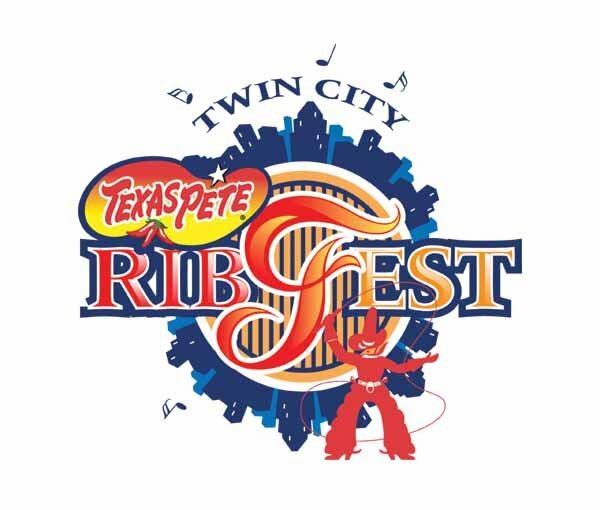 Winston Salem's Twin City Ribfest (sponsored by Texas Pete) is one of my favorite events of the summer. Katie and I have attended the festival each of the last four years. The annual event draws competitors and patrons from all over the region making it one of North Carolina's top BBQ attractions. This year the festival returned to the city's center at the corner of Fifth St. and Marshall St. after being held at the Dixie Classic Fairgrounds for the last few years. The festival's return to downtown had residents excited, but it also posed a few challenges. First, while the fairgrounds offered an enormous parking lot, the new location forces patrons to scavenge for street parking and open lots. The downtown location is also much more limited in overall space. While the spacious fairgrounds allowed plenty of room to roam, this year's spot packed vendors, attractions and patrons pretty tightly. While Ribfest is a party for everyone involved, we can't forget that it's also a competition with serious bragging rights at stake. The 2012 competition features six competitive teams / vendors from as far north as Ohio and as far south as Arkansas. All six teams are returning competitors and have won numerous awards all over the country. Each competition team at Ribfest also acts as a vendor serving up all kinds of BBQ and sides for the hungry masses that attend the four day festival. As much as I look forward to the live music and dozens of local vending tents, it's the opportunity to sample the "Q" that draws me to Ribfest each year. This year I chose to order rib samplers from the two competitors that I didn't try a year ago, Texas Outlaws and Porky Chicks. I also stopped by the vending station of local favorite, Bib's Downtown to check out the ribs they were serving up. Below is a breakdown from each vendor. Texas Outlaws: Despite their name, this BBQ team hails from Elizabethtown, KY. The crew serving up ribs and "Q" for the Texas Outlaws was friendly and efficient. They were doing their best to sell patrons on the quality of their food. They promised top quality ribs and they didn't disappoint. The Texas Outlaw ribs were as good as any ribs that I've had during my many trips to Ribfest. They were big, meaty spareribs that were cooked just right. The meat was tender, juicy and well seasoned. Texas Outlaws went a little heavy on the sauce, but it didn't over power the tasty meat. Porky Chicks BBQ: This Fayetteville, AK team was making its second visit to Twin City Ribfest. I missed out on their ribs last year and was happy to see them return. Porky Chicks served up a very good plate of ribs as well. Their ribs were served dry with a choice of sauces available to be added. The rub was mild and formed a nice crust on the outside of the rib. The meat was just slightly dry, but perfectly tender. The sweet, mild sauce was excellent as well. I made sure to mop up every drop with my roll. Bib's Downtown: Bib's is the local favorite of the competition. The downtown location is especially convenient for Bib's. The festival is just a short walk away from their restaurant. I've visited Bib's Downtown numerous times. 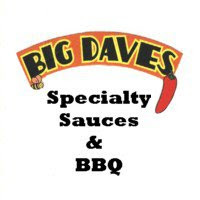 In my opinion, it's one of the very best "Q" joints in North Carolina. However, since it's so close to home, I typically forgo the Bib's tent at Ribfest in favor of vendors that I can't visit so easily. This year, however, I decided to make a stop at Bib's to try their ribs and get a taste of their new apple BBQ sauce. I picked up a sampler and drizzled the newly debuted sauce generously over each bone. Regardless of whether the Texas Pete Twin City Ribfest remains downtown or returns to the Dixie Classic Fairgrounds, it will always be an event that Katie and I look forward to. We never miss the festival and it never disappoints. If you can't make it out this weekend, be sure to mark your calender for Ribfest next June. 3 Response to "Texas Pete Twin City Ribfest 2012"
I thought the Texas Outlaws had best overall - sauce and meat. Great!